The launch of the all-new 2019 Forester is just 2 days away and with that, Toyota Motor Philippines couldn’t resist but to steal some of Subaru’s thunder with their very own announcement that the all-new RAV4 will also be dropping into the local market just two weeks later. Despite the RAV4’s pre-Valentine’s launch date, it’s reported that dealer stock won’t be arriving until March, thus the lack of “sales agent leaks.” Therefore, everything about the 2019 RAV4 remains purely speculative at this point. Still, that didn’t stop us from making an educated guess as to how Toyota Motor Philippines plans to spec and position its “Go 4 Bold” crossover. 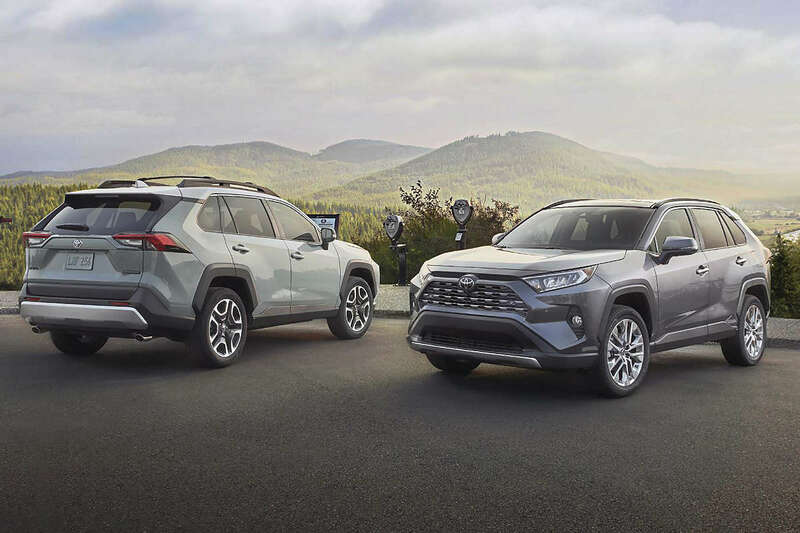 If Toyota plans to keep the RAV4 price competitive against other compact crossovers, expect the all-new fifth-generation model to arrive purely as a front-wheel drive model. With that, the sole engine choice is the 2.0-liter M20-FKS engine (the 2.5-liter is available solely on all-wheel drive variants). Despite the displacement, it’ll still make a healthy 170 horsepower at 6,600 rpm and 203 Nm of torque at 4,400 to 4,800 rpm. However, because its mated to a Direct-shift CVT, the century mark arrives at 10.7 seconds—0.4 seconds SLOWER than the 2019 Subaru Forester. 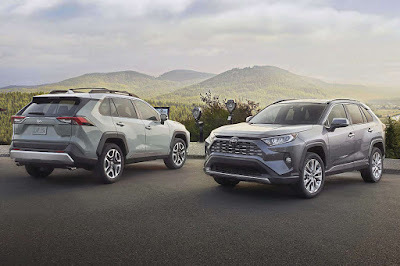 Like the all-new Camry, the 2019 RAV4 is underpinned by the Toyota New Global Architecture (GA-K). What’s odd though is that it shares a lot in common with the 2019 Forester from the front MacPherson Strut and rear Double Wishbone layout, use of vented discs at all four corners, and even the maximum 500 millimeters of water wading depth. Once the specs of the Philippine model RAV4 are finalized, we’ll explore this further. Moving on, exterior-wise, we suspect Toyota will bring in either the base or mid-grade and this could mean either keeping the current RAV4’s 225/65 R 17 wheel and tire set-up, or hopefully they’ll go more aggressive and opt for bigger 225/60 R 18 wheels and tires instead. Whatever the wheel and tire set-up, expect it to have automatic LED headlights with DRLs, LED taillights, and dual exhaust pipes. Inside, it’s safe to assume that the 2019 RAV4 will receive a leather tilt/telescopic steering wheel and leather seats. We’ll go out on a limb though to say that it’ll probably have digital gauges, a push-button start/stop, auto dimming rear view mirror, power folding side mirrors, dual zone climate control, and an 8-inch touchscreen infotainment system. We think putting in a power tailgate is a 50/50 chance, but if Toyota wants to remain in the zeitgeist, they should have it. In terms of safety, for sure it’ll have 7 airbags, ABS with EBD, and electronic stability control. It’ll also likely have rear parking sensors with a rear camera with dynamic guidelines. Honestly, it would be wonderful if Toyota would also equip the RAV4 with their own driver assist system—Toyota Safety Sense, but that’s highly unlikely. That said, imagine if they’ll have their own suite of tech that integrates adaptive cruise control, automatic high beam assist, lane departure warning, and forward collision warning with automatic braking—it’s surely going to give the Forester EyeSight a run for its money! Now, the most critical part. How much will Toyota Motor Philippine price the all-new RAV4? Currently, the fourth-generation model starts from P 1,450,000 and goes all the way up to P 2,174,000 for the top-of-the-line AWD model. Given Toyota’s move of streamlining the Camry line-up from 4 to 2 variants, it’s likely they’ll do the same with the RAV4. Thus, we expect a RAV4 2.0 Active+ 2WD to come in at around P 1.8 million and a RAV4 2.0 Premium 2WD to top off the range at P 2.1 million. This price would make the RAV4 one of the more expensive compact crossovers you can buy, but it’s a move that makes sense because they do have to protect their bigger cash cow—the 7-seater Fortuner. Did we get it right? We’ll find out in February. 235/55R19 would not be that bad. Akala ko pa naman yung chr ang dadalhin nila ditong bago sa darating na Pebrero. Yun kasi kulang sa lineup ng toyota. Sub compact crossover. They have the Rush though. That's interesting to hear. First time the 2.5 is paired with the 2WD drivetrain outside of the US. Hopefully it's the new engine though. I wished that all car companies here in the Philippines needs to stop sourcing AVT headunits on every vehicles that they are selling. They should have followed other countries that has its own OEM versions of the headunit. Maybe Honda Philippines would soon release a 5-seater CRV variant with diesel engine as a base model to compete with RAV4 entry level.